NAV, 3rd Row Seat, Sunroof, Heated Leather Seats, Panoramic Roof, LUXURY PACKAGE, TOWING PACKAGE, COLD WEATHER PACKAGE, Alloy Wheels, Tow Hitch, PRESTIGE PACKAGE.WHY BUY FROM USAt Audi Omaha, we are here to help you find the perfect Audi vehicle that fits your luxury, capacity and performance needs. Audi vehicles are engineered to provide an exhilarating driving experience with the best high-class characteristics and technology.OPTION PACKAGESPRESTIGE PACKAGE 3D Bose Surround Sound System, Audi Virtual Cockpit, Power Closing Doors, Topview Camera System, front, rear and side views, LED Interior Lighting Package Plus, LED Interior Lighting Package, Driver Assistance Package, Audi Adaptive Cruise Control w/Traffic Jam Assist, Audi Park Assist, Audi Pre Sense Front, Audi Active Lane Assist, High-Beam Assistant, Traffic Sign Recognition, Convenience Package, Heated Auto-Dimming Power Folding Exterior Mirrors, memory, Audi Side Assist w/Pre Sense Rear, rear cross traffic and exit assist, Audi Phone Box w/Wireless Charging, antenna booster, Wheels: 20 10-Spoke-Star Design Bi-Color, Tires: 285/45R20 All-Season, Warm Weather Package, Driver & Passenger Front Seats w/Ventilation, 4-way power lumbar, 4-Zone Automatic Climate Control, LUXURY PACKAGE Extended Leather Package, Light Alcantara Headliner, Linen Beige w/Pistachio Beige (UX) interior or Lunar Silver w/Rock Gray (UW), Black (FZ) or Cedar Brown (UU) interior, Individual Contour Front Seats, 4-way power lumbar support, passenger memory, ventilation and massage, COLD WEATHER PACKAGE 3-Spoke Multifunction Steering Wheel w/Paddles Heated Q-Design, Black Rubber All-Weather Floor Mats (Set of 4), Q7 logo, TOWING PACKAGE 7,700 lbs towing capacity. Nav System, Moonroof, Heated Leather Seats, Third Row Seat, TOWING PACKAGE, COLD WEATHER PACKAGE, PRESTIGE PACKAGE, Panoramic Roof, Hitch.WHY BUY FROM USAt Audi Omaha, we are here to help you find the perfect Audi vehicle that fits your luxury, capacity and performance needs. Audi vehicles are engineered to provide an exhilarating driving experience with the best high-class characteristics and technology.OPTION PACKAGESPRESTIGE PACKAGE 3D Bose Surround Sound System, Audi Virtual Cockpit, Power Closing Doors, Topview Camera System, front, rear and side views, LED Interior Lighting Package Plus, LED Interior Lighting Package, Driver Assistance Package, Audi Adaptive Cruise Control w/Traffic Jam Assist, Audi Park Assist, Audi Pre Sense Front, Audi Active Lane Assist, High-Beam Assistant, Traffic Sign Recognition, Convenience Package, Heated Auto-Dimming Power Folding Exterior Mirrors, memory, Audi Side Assist w/Pre Sense Rear, rear cross traffic and exit assist, Audi Phone Box w/Wireless Charging, antenna booster, Wheels: 20 10-Spoke-Star Design Bi-Color, Tires: 285/45R20 All-Season, Warm Weather Package, Driver & Passenger Front Seats w/Ventilation, 4-way power lumbar, 4-Zone Automatic Climate Control, COLD WEATHER PACKAGE 3-Spoke Multifunction Steering Wheel w/Paddles Heated Q-Design, Black Rubber All-Weather Floor Mats (Set of 4), Q7 logo, TOWING PACKAGE 7,700 lbs towing capacity. Sunroof, Navigation, Heated Leather Seats, 3rd Row Seat, Panoramic Roof, TOWING PACKAGE, COLD WEATHER PACKAGE, PRIVACY TRUNK COVER, Trailer Hitch, PRESTIGE PACKAGE.WHY BUY FROM USAt Audi Omaha, we are here to help you find the perfect Audi vehicle that fits your luxury, capacity and performance needs. Audi vehicles are engineered to provide an exhilarating driving experience with the best high-class characteristics and technology.OPTION PACKAGESPRESTIGE PACKAGE 3D Bose Surround Sound System, Audi Virtual Cockpit, Power Closing Doors, Topview Camera System, front, rear and side views, LED Interior Lighting Package Plus, LED Interior Lighting Package, Driver Assistance Package, Audi Adaptive Cruise Control w/Traffic Jam Assist, Audi Park Assist, Audi Pre Sense Front, Audi Active Lane Assist, High-Beam Assistant, Traffic Sign Recognition, Convenience Package, Heated Auto-Dimming Power Folding Exterior Mirrors, memory, Audi Side Assist w/Pre Sense Rear, rear cross traffic and exit assist, Audi Phone Box w/Wireless Charging, antenna booster, Wheels: 20 10-Spoke-Star Design Bi-Color, Tires: 285/45R20 All-Season, Warm Weather Package, Driver & Passenger Front Seats w/Ventilation, 4-way power lumbar, 4-Zone Automatic Climate Control, COLD WEATHER PACKAGE 3-Spoke Multifunction Steering Wheel w/Paddles Heated Q-Design, Black Rubber All-Weather Floor Mats (Set of 4), Q7 logo, TOWING PACKAGE 7,700 lbs towing capacity, PRIVACY TRUNK COVER retractable/removable cover for cargo space. Heated Leather Seats, 3rd Row Seat, Sunroof, NAV, Panoramic Roof, Alloy Wheels, DRIVER ASSISTANCE PACKAGE, TOWING PACKAGE, COLD WEATHER PACKAGE, Tow Hitch, PREMIUM PLUS PACKAGE, WARM WEATHER PACKAGE.WHY BUY FROM USAt Audi Omaha, we are here to help you find the perfect Audi vehicle that fits your luxury, capacity and performance needs. Audi vehicles are engineered to provide an exhilarating driving experience with the best high-class characteristics and technology.OPTION PACKAGESPREMIUM PLUS PACKAGE 3D Bose Surround Sound System, Audi Virtual Cockpit, Topview Camera System, front, rear and side views, Convenience Package, Heated Auto-Dimming Power Folding Exterior Mirrors, memory, Audi Side Assist w/Pre Sense Rear, rear cross traffic and exit assist, Audi Phone Box w/Wireless Charging, antenna booster, LED Interior Lighting Package, LED Headlights w/Dynamic Indicators, LED DRLs and LED taillights, DRIVER ASSISTANCE PACKAGE Audi Adaptive Cruise Control w/Traffic Jam Assist, Audi Park Assist, Audi Pre Sense Front, Audi Active Lane Assist, High-Beam Assistant, Traffic Sign Recognition, WARM WEATHER PACKAGE Driver & Passenger Front Seats w/Ventilation, 4-way power lumbar, 4-Zone Automatic Climate Control, diffuser vent w/Alu-optic trim, Rear Door/Side Windows & Tailgate Sunshades, COLD WEATHER PACKAGE 3-Spoke Multifunction Steering Wheel w/Paddles Heated Q-Design, Black Rubber All-Weather Floor Mats (Set of 4), Q7 logo, TOWING PACKAGE 7,700 lbs towing capacity. NAV, Heated Leather Seats, 3rd Row Seat, Sunroof, Panoramic Roof, COLD WEATHER PACKAGE, TOWING PACKAGE, CONVENIENCE PACKAGE, Alloy Wheels, Tow Hitch. EPA 25 MPG Hwy/19 MPG City!WHY BUY FROM USAt Audi Omaha, we are here to help you find the perfect Audi vehicle that fits your luxury, capacity and performance needs. Audi vehicles are engineered to provide an exhilarating driving experience with the best high-class characteristics and technology.OPTION PACKAGESCONVENIENCE PACKAGE Heated Auto-Dimming Power Folding Exterior Mirrors, memory, Audi Side Assist w/Pre Sense Rear, rear cross traffic and exit assist, Audi Phone Box w/Wireless Charging, antenna booster, COLD WEATHER PACKAGE 3-Spoke Multifunction Steering Wheel w/Paddles Heated Q-Design, Black Rubber All-Weather Floor Mats (Set of 4), Q7 logo, TOWING PACKAGE 7,700 lbs towing capacity.Fuel economy calculations based on original manufacturer data for trim engine configuration. NAV, Sunroof, Heated Leather Seats, 3rd Row Seat, Panoramic Roof, TOWING PACKAGE, COLD WEATHER PACKAGE, CONVENIENCE PACKAGE, Alloy Wheels, Tow Hitch.WHY BUY FROM USAt Audi Omaha, we are here to help you find the perfect Audi vehicle that fits your luxury, capacity and performance needs. Audi vehicles are engineered to provide an exhilarating driving experience with the best high-class characteristics and technology.OPTION PACKAGESCONVENIENCE PACKAGE Heated Auto-Dimming Power Folding Exterior Mirrors, memory, Audi Side Assist w/Pre Sense Rear, rear cross traffic and exit assist, Audi Phone Box w/Wireless Charging, antenna booster, COLD WEATHER PACKAGE 3-Spoke Multifunction Steering Wheel w/Paddles Heated Q-Design, Black Rubber All-Weather Floor Mats (Set of 4), Q7 logo, TOWING PACKAGE 7,700 lbs towing capacity. NAV, Heated Leather Seats, Sunroof, 3rd Row Seat, WHEELS: 20 10-SPOKE-STAR DESIGN BI-C. 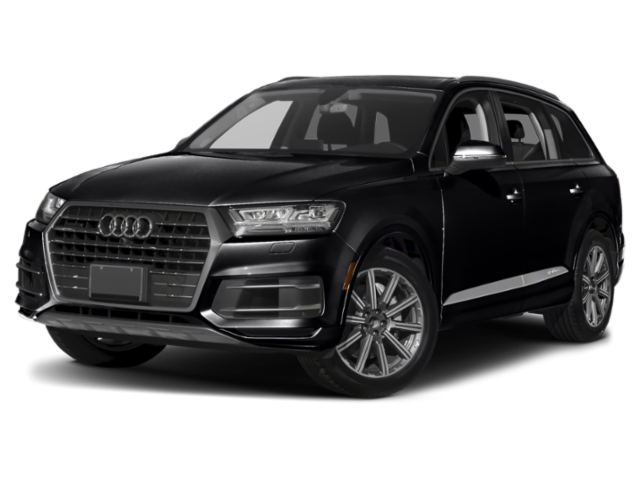 PREMIUM PLUS PACKAGE, TOWING PACKAGE, COLD WEATHER PACKAGE, PRIVACY TRUNK COVER, Tow Hitch, DRIVER ASSISTANCE PACKAGE, Panoramic Roof.WHY BUY FROM USAt Audi Omaha, we are here to help you find the perfect Audi vehicle that fits your luxury, capacity and performance needs. Audi vehicles are engineered to provide an exhilarating driving experience with the best high-class characteristics and technology.OPTION PACKAGESPREMIUM PLUS PACKAGE 3D Bose Surround Sound System, Audi Virtual Cockpit, Topview Camera System, front, rear and side views, Convenience Package, Heated Auto-Dimming Power Folding Exterior Mirrors, memory, Audi Side Assist w/Pre Sense Rear, rear cross traffic and exit assist, Audi Phone Box w/Wireless Charging, antenna booster, LED Interior Lighting Package, LED Headlights w/Dynamic Indicators, LED DRLs and LED taillights, DRIVER ASSISTANCE PACKAGE Audi Adaptive Cruise Control w/Traffic Jam Assist, Audi Park Assist, Audi Pre Sense Front, Audi Active Lane Assist, High-Beam Assistant, Traffic Sign Recognition, WHEELS: 20 10-SPOKE-STAR DESIGN BI-COLOR Tires: 285/45R20 All-Season, COLD WEATHER PACKAGE 3-Spoke Multifunction Steering Wheel w/Paddles Heated Q-Design, Black Rubber All-Weather Floor Mats (Set of 4), Q7 logo, Heated Rear Seats, TOWING PACKAGE 7,700 lbs towing capacity, PRIVACY TRUNK COVER retractable/removable cover for cargo space. NAV, Heated Leather Seats, Sunroof, 3rd Row Seat, WHEELS: 20 10-SPOKE-STAR DESIGN BI-C. COLD WEATHER PACKAGE, TOWING PACKAGE, PREMIUM PLUS PACKAGE, PRIVACY TRUNK COVER, DRIVER ASSISTANCE PACKAGE, Panoramic Roof, Tow Hitch.WHY BUY FROM USAt Audi Omaha, we are here to help you find the perfect Audi vehicle that fits your luxury, capacity and performance needs. Audi vehicles are engineered to provide an exhilarating driving experience with the best high-class characteristics and technology.OPTION PACKAGESPREMIUM PLUS PACKAGE 3D Bose Surround Sound System, Audi Virtual Cockpit, Topview Camera System, front, rear and side views, Convenience Package, Heated Auto-Dimming Power Folding Exterior Mirrors, memory, Audi Side Assist w/Pre Sense Rear, rear cross traffic and exit assist, Audi Phone Box w/Wireless Charging, antenna booster, LED Interior Lighting Package, LED Headlights w/Dynamic Indicators, LED DRLs and LED taillights, DRIVER ASSISTANCE PACKAGE Audi Adaptive Cruise Control w/Traffic Jam Assist, Audi Park Assist, Audi Pre Sense Front, Audi Active Lane Assist, High-Beam Assistant, Traffic Sign Recognition, WHEELS: 20 10-SPOKE-STAR DESIGN BI-COLOR Tires: 285/45R20 All-Season, COLD WEATHER PACKAGE 3-Spoke Multifunction Steering Wheel w/Paddles Heated Q-Design, Black Rubber All-Weather Floor Mats (Set of 4), Q7 logo, Heated Rear Seats, TOWING PACKAGE 7,700 lbs towing capacity, PRIVACY TRUNK COVER retractable/removable cover for cargo space. NAV, Heated Leather Seats, Sunroof, 3rd Row Seat, PREMIUM PLUS PACKAGE , TOWING PACKAGE , COLD WEATHER PACKAGE , WHEELS: 20 10-SPOKE-STAR DESIGN BI-C. PRIVACY TRUNK COVER, DRIVER ASSISTANCE PACKAGE, Panoramic Roof, Tow Hitch.WHY BUY FROM USAt Audi Omaha, we are here to help you find the perfect Audi vehicle that fits your luxury, capacity and performance needs. Audi vehicles are engineered to provide an exhilarating driving experience with the best high-class characteristics and technology.OPTION PACKAGESPREMIUM PLUS PACKAGE 3D Bose Surround Sound System, Audi Virtual Cockpit, Topview Camera System, front, rear and side views, Convenience Package, Heated Auto-Dimming Power Folding Exterior Mirrors, memory, Audi Side Assist w/Pre Sense Rear, rear cross traffic and exit assist, Audi Phone Box w/Wireless Charging, antenna booster, LED Interior Lighting Package, LED Headlights w/Dynamic Indicators, LED DRLs and LED taillights, DRIVER ASSISTANCE PACKAGE Audi Adaptive Cruise Control w/Traffic Jam Assist, Audi Park Assist, Audi Pre Sense Front, Audi Active Lane Assist, High-Beam Assistant, Traffic Sign Recognition, WHEELS: 20 10-SPOKE-STAR DESIGN BI-COLOR Tires: 285/45R20 All-Season, COLD WEATHER PACKAGE 3-Spoke Multifunction Steering Wheel w/Paddles Heated Q-Design, Black Rubber All-Weather Floor Mats (Set of 4), Q7 logo, Heated Rear Seats, TOWING PACKAGE 7,700 lbs towing capacity, PRIVACY TRUNK COVER retractable/removable cover for cargo space. Sunroof, NAV, 3rd Row Seat, Heated Leather Seats, Panoramic Roof, TOWING PACKAGE, COLD WEATHER PACKAGE, PRIVACY TRUNK COVER, Tow Hitch, PRESTIGE PACKAGE.WHY BUY FROM USAt Audi Omaha, we are here to help you find the perfect Audi vehicle that fits your luxury, capacity and performance needs. Audi vehicles are engineered to provide an exhilarating driving experience with the best high-class characteristics and technology.OPTION PACKAGESPRESTIGE PACKAGE 3D Bose Surround Sound System, Audi Virtual Cockpit, Power Closing Doors, Topview Camera System, front, rear and side views, LED Interior Lighting Package Plus, LED Interior Lighting Package, Driver Assistance Package, Audi Adaptive Cruise Control w/Traffic Jam Assist, Audi Park Assist, Audi Pre Sense Front, Audi Active Lane Assist, High-Beam Assistant, Traffic Sign Recognition, Convenience Package, Heated Auto-Dimming Power Folding Exterior Mirrors, memory, Audi Side Assist w/Pre Sense Rear, rear cross traffic and exit assist, Audi Phone Box w/Wireless Charging, antenna booster, Wheels: 20 10-Spoke-Star Design Bi-Color, Tires: 285/45R20 All-Season, Warm Weather Package, Driver & Passenger Front Seats w/Ventilation, 4-way power lumbar, 4-Zone Automatic Climate Control, COLD WEATHER PACKAGE 3-Spoke Multifunction Steering Wheel w/Paddles Heated Q-Design, Black Rubber All-Weather Floor Mats (Set of 4), Q7 logo, TOWING PACKAGE 7,700 lbs towing capacity, PRIVACY TRUNK COVER retractable/removable cover for cargo space. Sunroof, Heated Leather Seats, NAV, Hybrid, All Wheel Drive, 20 SPORT PACKAGE, DRIVER ASSISTANCE PACKAGE, COLD WEATHER PACKAGE, Turbo, PREMIUM PLUS PACKAGE, WARM WEATHER PACKAGE.WHY BUY FROM USAt Audi Omaha, we are here to help you find the perfect Audi vehicle that fits your luxury, capacity and performance needs. Audi vehicles are engineered to provide an exhilarating driving experience with the best high-class characteristics and technology.OPTION PACKAGESPREMIUM PLUS PACKAGE Convenience Package, Heated Auto-Dimming Power-Folding Exterior Mirrors Body color w/memory, Audi Side Assist w/Pre Sense Rear, rear cross traffic assist and vehicle exit warning, Audi Phone Box w/Wireless Charging, signal booster, Audi Advanced Key, Top View Camera System w/Virtual 360 View, Bang & Olufsen 3D Premium Sound System, Audi Virtual Cockpit, Matrix Design Headlights w/Highbeam Assist, Radio: Audi MMI Navigation Plus w/MMI Touch 10.1, traffic information online, 10.1 upper and 8.6 lower screens, Audi smartphone interface (Apple CarPlay/Android Auto), Bluetooth preparation for mobile phone and SIRIUS satellite radio w/3-month complimentary subscription, Contrast Stitching on Door Armrests & Knee Bolster, Headlight Washer System, DRIVER ASSISTANCE PACKAGE intersection assistant, Audi Adaptive Cruise Assist, traffic jam assist and turn assist, Audi Active Lane Assist w/Emergency Assist, emergency assist, Traffic Sign Recognition, WARM WEATHER PACKAGE Front Seat Ventilation & 4-Way Power Lumbar, 4-Zone Automatic Climate Control, Power Rear & Manual Rear Side Window Sunshades, 20 SPORT PACKAGE Sport Suspension (20mm Drop), Wheels: 20 5-V-Spoke Bi-Color, Tires: 255/40R20 All-Season, COLD WEATHER PACKAGE Heated Rear Seats, Heated Steering Wheel. NAV, Sunroof, 3rd Row Seat, Heated Leather Seats, ADAPTIVE CHASSIS PACKAGE, Panoramic Roof, PRESTIGE PACKAGE, LUXURY PACKAGE, COLD WEATHER PACKAGE, Tow Hitch, TOWING PACKAGE.WHY BUY FROM USAt Audi Omaha, we are here to help you find the perfect Audi vehicle that fits your luxury, capacity and performance needs. Audi vehicles are engineered to provide an exhilarating driving experience with the best high-class characteristics and technology.OPTION PACKAGESPRESTIGE PACKAGE 3D Bose Surround Sound System, Audi Virtual Cockpit, Power Closing Doors, Topview Camera System, front, rear and side views, LED Interior Lighting Package Plus, LED Interior Lighting Package, Driver Assistance Package, Audi Adaptive Cruise Control w/Traffic Jam Assist, Audi Park Assist, Audi Pre Sense Front, Audi Active Lane Assist, High-Beam Assistant, Traffic Sign Recognition, Convenience Package, Heated Auto-Dimming Power Folding Exterior Mirrors, memory, Audi Side Assist w/Pre Sense Rear, rear cross traffic and exit assist, Audi Phone Box w/Wireless Charging, antenna booster, Wheels: 20 10-Spoke-Star Design Bi-Color, Tires: 285/45R20 All-Season, Warm Weather Package, Driver & Passenger Front Seats w/Ventilation, 4-way power lumbar, 4-Zone Automatic Climate Control, LUXURY PACKAGE Extended Leather Package, Light Alcantara Headliner, Linen Beige w/Pistachio Beige (UX) interior or Lunar Silver w/Rock Gray (UW), Black (FZ) or Cedar Brown (UU) interior, Individual Contour Front Seats, 4-way power lumbar support, passenger memory, ventilation and massage, ADAPTIVE CHASSIS PACKAGE 4-Wheel Steering, Comfort Adaptive Air Suspension, COLD WEATHER PACKAGE 3-Spoke Multifunction Steering Wheel w/Paddles Heated Q-Design, Black Rubber All-Weather Floor Mats (Set of 4), Q7 logo, TOWING PACKAGE 7,700 lbs towing capacity. Navigation, Moonroof, Heated Leather Seats, All Wheel Drive, DRIVER ASSISTANCE PACKAGE, COLD WEATHER PACKAGE, PRESTIGE PACKAGE, Turbo Charged, Chrome Wheels.WHY BUY FROM USAt Audi Omaha, we are here to help you find the perfect Audi vehicle that fits your luxury, capacity and performance needs. Audi vehicles are engineered to provide an exhilarating driving experience with the best high-class characteristics and technology.OPTION PACKAGESPRESTIGE PACKAGE Premium Plus Package, Convenience Package, Heated Auto-Dimming Power-Folding Exterior Mirrors Body color w/memory, Audi Side Assist w/Pre Sense Rear, rear cross traffic assist and vehicle exit warning, Audi Phone Box w/Wireless Charging, signal booster, Audi Advanced Key, Top View Camera System w/Virtual 360 View, Bang & Olufsen 3D Premium Sound System, Audi Virtual Cockpit, Matrix Design Headlights w/Highbeam Assist, Contrast Stitching on Door Armrests & Knee Bolster, Headlight Washer System, Head-Up Display, Ambient Interior Lighting Plus Package, multicolor ambient light, Power Closing Doors, HD Matrix Design Headlights w/Highbeam Assist, Warm Weather Package, Front Seat Ventilation & 4-Way Power Lumbar, 4-Zone Automatic Climate Control, Power Rear & Manual Rear Side, DRIVER ASSISTANCE PACKAGE intersection assistant, Audi Adaptive Cruise Assist, traffic jam assist and turn assist, Audi Active Lane Assist w/Emergency Assist, emergency assist, Traffic Sign Recognition, COLD WEATHER PACKAGE Heated Rear Seats, Heated Steering Wheel. Moonroof, Navigation, Heated Leather Seats, Third Row Seat, Panoramic Roof, TOWING PACKAGE, COLD WEATHER PACKAGE, NIGHT VISION ASSISTANT, Trailer Hitch, PRESTIGE PACKAGE.WHY BUY FROM USAt Audi Omaha, we are here to help you find the perfect Audi vehicle that fits your luxury, capacity and performance needs. Audi vehicles are engineered to provide an exhilarating driving experience with the best high-class characteristics and technology.OPTION PACKAGESPRESTIGE PACKAGE 3D Bose Surround Sound System, Audi Virtual Cockpit, Power Closing Doors, Topview Camera System, front, rear and side views, LED Interior Lighting Package Plus, LED Interior Lighting Package, Driver Assistance Package, Audi Adaptive Cruise Control w/Traffic Jam Assist, Audi Park Assist, Audi Pre Sense Front, Audi Active Lane Assist, High-Beam Assistant, Traffic Sign Recognition, Convenience Package, Heated Auto-Dimming Power Folding Exterior Mirrors, memory, Audi Side Assist w/Pre Sense Rear, rear cross traffic and exit assist, Audi Phone Box w/Wireless Charging, antenna booster, Wheels: 20 10-Spoke-Star Design Bi-Color, Tires: 285/45R20 All-Season, Warm Weather Package, Driver & Passenger Front Seats w/Ventilation, 4-way power lumbar, 4-Zone Automatic Climate Control, COLD WEATHER PACKAGE 3-Spoke Multifunction Steering Wheel w/Paddles Heated Q-Design, Black Rubber All-Weather Floor Mats (Set of 4), Q7 logo, TOWING PACKAGE 7,700 lbs towing capacity. Sunroof, Navigation, Heated Leather Seats, 3rd Row Seat, Panoramic Roof, TOWING PACKAGE , COLD WEATHER PACKAGE , WHEELS: 20 10-SPOKE-STAR DESIGN BI-C. Trailer Hitch, PREMIUM PLUS PACKAGE. FUEL EFFICIENT 25 MPG Hwy/19 MPG City!WHY BUY FROM USAt Audi Omaha, we are here to help you find the perfect Audi vehicle that fits your luxury, capacity and performance needs. Audi vehicles are engineered to provide an exhilarating driving experience with the best high-class characteristics and technology.OPTION PACKAGESPREMIUM PLUS PACKAGE 3D Bose Surround Sound System, Audi Virtual Cockpit, Topview Camera System, front, rear and side views, Convenience Package, Heated Auto-Dimming Power Folding Exterior Mirrors, memory, Audi Side Assist w/Pre Sense Rear, rear cross traffic and exit assist, Audi Phone Box w/Wireless Charging, antenna booster, LED Interior Lighting Package, LED Headlights w/Dynamic Indicators, LED DRLs and LED taillights, WHEELS: 20 10-SPOKE-STAR DESIGN BI-COLOR Tires: 285/45R20 All-Season, COLD WEATHER PACKAGE 3-Spoke Multifunction Steering Wheel w/Paddles Heated Q-Design, Black Rubber All-Weather Floor Mats (Set of 4), Q7 logo, Heated Rear Seats, TOWING PACKAGE 7,700 lbs towing capacity.Fuel economy calculations based on original manufacturer data for trim engine configuration. Serviced here, Non-Smoker vehicle, Originally bought here, Nav System, Moonroof, Heated Leather Seats, Rear Air, COLD WEATHER PACKAGE, 20 SPORT PACKAGE, PREMIUM PLUS PACKAGE, All Wheel Drive, Turbo Charged Engine. EPA 29 MPG Hwy/22 MPG City!WHY BUY FROM USAt Audi Omaha, we are here to help you find the perfect Audi vehicle that fits your luxury, capacity and performance needs. Audi vehicles are engineered to provide an exhilarating driving experience with the best high-class characteristics and technology.OPTION PACKAGESPREMIUM PLUS PACKAGE Convenience Package, Heated Auto-Dimming Power-Folding Exterior Mirrors Body color w/memory, Audi Side Assist w/Pre Sense Rear, rear cross traffic assist and vehicle exit warning, Audi Phone Box w/Wireless Charging, signal booster, Audi Advanced Key, Top View Camera System w/Virtual 360 View, Bang & Olufsen 3D Premium Sound System, Audi Virtual Cockpit, Matrix Design Headlights w/Highbeam Assist, Radio: Audi MMI Navigation Plus w/MMI Touch 10.1, traffic information online, 10.1 upper and 8.6 lower screens, Audi smartphone interface (Apple CarPlay/Android Auto), Bluetooth preparation for mobile phone and SIRIUS satellite radio w/3-month complimentary subscription, Contrast Stitching on Door Armrests & Knee Bolster, Headlight Washer System, 20 SPORT PACKAGE Sport Suspension (20mm Drop), Wheels: 20 5-V-Spoke Bi-Color, Tires: 255/40R20 All-Season, COLD WEATHER PACKAGE Heated Rear Seats, Heated Steering Wheel. .Fuel economy calculations based on original manufacturer data for trim engine configuration. Sunroof, Heated Leather Seats, Navigation, Hybrid, All Wheel Drive, 20 SPORT PACKAGE, DRIVER ASSISTANCE PACKAGE, COLD WEATHER PACKAGE, Turbo Charged, PREMIUM PLUS PACKAGE. FUEL EFFICIENT 29 MPG Hwy/22 MPG City!WHY BUY FROM USAt Audi Omaha, we are here to help you find the perfect Audi vehicle that fits your luxury, capacity and performance needs. Audi vehicles are engineered to provide an exhilarating driving experience with the best high-class characteristics and technology.OPTION PACKAGESPREMIUM PLUS PACKAGE Convenience Package, Heated Auto-Dimming Power-Folding Exterior Mirrors Body color w/memory, Audi Side Assist w/Pre Sense Rear, rear cross traffic assist and vehicle exit warning, Audi Phone Box w/Wireless Charging, signal booster, Audi Advanced Key, Top View Camera System w/Virtual 360 View, Bang & Olufsen 3D Premium Sound System, Audi Virtual Cockpit, Matrix Design Headlights w/Highbeam Assist, Radio: Audi MMI Navigation Plus w/MMI Touch 10.1, traffic information online, 10.1 upper and 8.6 lower screens, Audi smartphone interface (Apple CarPlay/Android Auto), Bluetooth preparation for mobile phone and SIRIUS satellite radio w/3-month complimentary subscription, Contrast Stitching on Door Armrests & Knee Bolster, Headlight Washer System, DRIVER ASSISTANCE PACKAGE intersection assistant, Audi Adaptive Cruise Assist, traffic jam assist and turn assist, Audi Active Lane Assist w/Emergency Assist, emergency assist, Traffic Sign Recognition, WARM WEATHER PACKAGE Front Seat Ventilation & 4-Way Power Lumbar, 4-Zone Automatic Climate Control, Power Rear & Manual Rear Side Window Sunshades, 20 SPORT PACKAGE Sport Suspension (20mm Drop), Wheels: 20 5-V-Spoke Bi-Color, Tires: 255/40R20 All-Season, COLD WEATHER PACKAGE Heated Rear Seats, Heated Steering Wheel.Fuel economy calculations based on original manufacturer data for trim engine configuration. Moonroof, Nav System, Third Row Seat, Heated Leather Seats, Panoramic Roof, TOWING PACKAGE, COLD WEATHER PACKAGE, PREMIUM PLUS PACKAGE, Aluminum Wheels, Hitch. EPA 25 MPG Hwy/19 MPG City!WHY BUY FROM USAt Audi Omaha, we are here to help you find the perfect Audi vehicle that fits your luxury, capacity and performance needs. Audi vehicles are engineered to provide an exhilarating driving experience with the best high-class characteristics and technology.OPTION PACKAGESPREMIUM PLUS PACKAGE 3D Bose Surround Sound System, Audi Virtual Cockpit, Topview Camera System, front, rear and side views, Convenience Package, Heated Auto-Dimming Power Folding Exterior Mirrors, memory, Audi Side Assist w/Pre Sense Rear, rear cross traffic and exit assist, Audi Phone Box w/Wireless Charging, antenna booster, LED Interior Lighting Package, LED Headlights w/Dynamic Indicators, LED DRLs and LED taillights, COLD WEATHER PACKAGE 3-Spoke Multifunction Steering Wheel w/Paddles Heated Q-Design, Black Rubber All-Weather Floor Mats (Set of 4), Q7 logo, TOWING PACKAGE 7,700 lbs towing capacity.Fuel economy calculations based on original manufacturer data for trim engine configuration. Sunroof, NAV, Heated Leather Seats, 3rd Row Seat, Panoramic Roof, TOWING PACKAGE , COLD WEATHER PACKAGE , WHEELS: 20 10-SPOKE-STAR DESIGN BI-C. Tow Hitch, PREMIUM PLUS PACKAGE. EPA 25 MPG Hwy/19 MPG City!WHY BUY FROM USAt Audi Omaha, we are here to help you find the perfect Audi vehicle that fits your luxury, capacity and performance needs. Audi vehicles are engineered to provide an exhilarating driving experience with the best high-class characteristics and technology.OPTION PACKAGESPREMIUM PLUS PACKAGE 3D Bose Surround Sound System, Audi Virtual Cockpit, Topview Camera System, front, rear and side views, Convenience Package, Heated Auto-Dimming Power Folding Exterior Mirrors, memory, Audi Side Assist w/Pre Sense Rear, rear cross traffic and exit assist, Audi Phone Box w/Wireless Charging, antenna booster, LED Interior Lighting Package, LED Headlights w/Dynamic Indicators, LED DRLs and LED taillights, WHEELS: 20 10-SPOKE-STAR DESIGN BI-COLOR Tires: 285/45R20 All-Season, COLD WEATHER PACKAGE 3-Spoke Multifunction Steering Wheel w/Paddles Heated Q-Design, Black Rubber All-Weather Floor Mats (Set of 4), Q7 logo, Heated Rear Seats, TOWING PACKAGE 7,700 lbs towing capacity.Fuel economy calculations based on original manufacturer data for trim engine configuration. Heated Leather Seats, Moonroof, Nav System, All Wheel Drive, COLD WEATHER PACKAGE, CONVENIENCE PACKAGE, Aluminum Wheels, Panoramic Roof, Turbo Charged Engine.WHY BUY FROM USAt Audi Omaha, we are here to help you find the perfect Audi vehicle that fits your luxury, capacity and performance needs. Audi vehicles are engineered to provide an exhilarating driving experience with the best high-class characteristics and technology.OPTION PACKAGESCONVENIENCE PACKAGE Heated Power Folding Auto-Dimming Exterior Mirrors, memory, Audi Side Assist w/Pre Sense Rear, Audi Phone Box w/Wireless Charging, signal booster, COLD WEATHER PACKAGE Heated Steering Wheel, Heated Rear Seats.